Troop 16 has been chartered by Little Zion Lutheran Church in Telford, Pennsylvania since 2009. We are one of the newer troops in the General Nash District of the Cradle of Liberty Council. The General Nash District includes all Boy Scout Troops and Cub Scout Packs in the North Penn and Souderton School Districts. The Cradle of Liberty Council encompasses Montgomery, Delaware and Philadelphia Counties and is based in Philadelphia and Valley Forge, Pennsylvania. Our troop draws members primarily from the Souderton Area School District. Troop 16 has a very progressive troop program to encourage personal responsibility and develop leadership in our young men. The adult leaders of Troop 16 are devoted to helping our youth become better citizens of the community and responsible, well rounded, leaders of tomorrow. 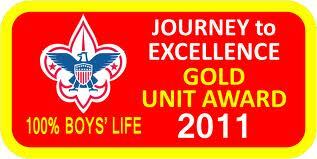 Troop 16 has been designated as a Quality Unit by the Cradle of Liberty Council and the Boy Scouts of America. Troop 16 meets every Monday evening at 7:00 p.m., at the Little Zion Church House, 267 Morwood Road, Telford, Pa.